If you suspect a child is in immediate danger, call 9-1-1 or your local police. For toll free access to any government office within Alberta, dial 310-0000. This page was last updated on June 27, 2018. The parent and family support resource information offered here does not attempt to create a comprehensive list. To update any information listed on this page, please email: info@cwrp.ca. To report suspected child maltreatment: Call 1-866-345-9241 or contact the nearest Designated Intake Agency. To report suspected child maltreatment: Call 1-800-992-2873 or 1-800-442-9799 for After Hours Emergencies Services. To report suspected child maltreatment: Call your local Children, Seniors and Social Development office. These offices are located in four regions: Metro, Central East, Western, and Labrador Region. The contact information for the Metro regional office is listed below, if you reside outside this region, please visit the Children, Seniors and Social Development webpage for all other phone numbers. To report suspected child maltreatment: Call the agency or district office in the Department of Community Services nearest to you. If you are not sure whom to contact, you can call the Nova Scotia Community Services head office at 1-877-424-1177. You can report suspected child maltreatment after regular business hours at 1-866-922-2434. To report suspected child maltreatment: Contact your local community social worker. In Yellowknife, call 867-873-7276 or 867-445-1092 after hours. The Northwest Territories does not have a Children’s Advocate Office. Concerns should be directed to the appropriate Health and Social Services Authority and/or the Health and Social Service Navigator. To report suspected child maltreatment: Contact your local Community Social Services Office. In Iqaluit, call 867-975-7250. To report suspected child maltreatment: Call your local Children’s Aid Society. To report suspected child maltreatment: Call the Provincial Child Protection Intake Unit at 1-877-341-3101. For after hours calls, phone 1-800-341-6868. Prince Edward Island does not have a Children's Advocate Office. 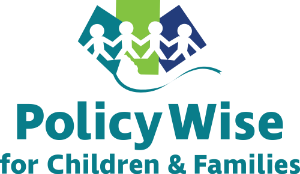 Concerns should be directed to the appropriate office of child and family services. To report suspected child maltreatment: Call the Director of Youth Protection (child protection agency) for your area. For services in English in Montreal, call 514-935-6196. For services in French in Montreal, call 514-896-3100. To report suspected child maltreatment: Call 867-667-3002 or 1-800-661-0408 ext. 3002 (24 hours).